CCRO members this year are looking forward to developing our understanding of operative risks by creating an entirely new information source for industry related benchmarking statistics. Key Risk Indicators (KRIs) are an important part of this initiative. 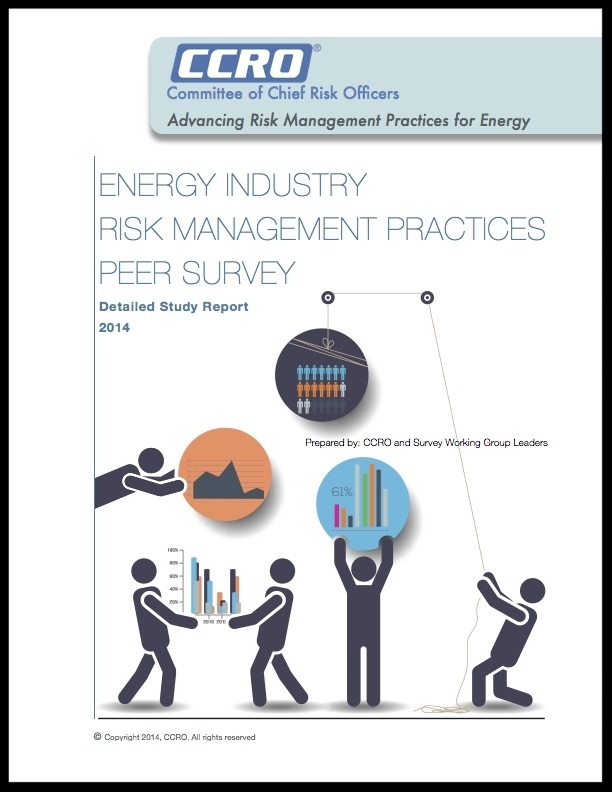 A keen awareness of KRIs can help energy companies with management of their operative risks that can be so elusive to address. Our KRI group is interested in developing leading practices related to measuring, reporting, and managing risks in both of these operative areas. KRIs are designed to provide leading-indicators of potential problems. They can be invaluable to risk professionals, by enabling insightful and actionable risk dashboards & reports. However, the specifics about KRIs are often unclear, they certainly are not standardized, and virtually no industry data is available on them. These unfortunate truths have prompted a lot of attention among CCRO members. Our continuing dialog about KRIs has led members to focus on a set of readily standardized KRIs that also are good candidates for industry benchmarking. CCRO member companies from US and Europe have expressed keen interest in this subject. In fact, the Trade Area KRI Database is fast becoming a premier topic for CCRO discussions. Recently, members volunteered to contribute their internal KRI data to the CCRO, where it is aggregated, and group statistics can subsequently be developed. We are planning member webinars for discussions about the draft KRI statistics, the KRI formulae, and an expanded menu of KRIs for this benchmarking initiative. The group now wants to expand their KRI list and to widen the data set. Ultimately, this database of KRIs will allow CCRO members to benchmark their own KRIs against this anonymous industry peer group. We are already seeing the results are powerful insights. Gain access to the many benefits of CCRO involvement today. All companies that contribute KRI data are part of our draft results discussions. In recent months these discussions have proven to be very engaging and are steering our plans for expansion of the KRI metric set. Plus, once the anonymous data is published, participants will have on-going access to peer group KRI benchmarks. Slides from the discussion at the March 11th CCRO meeting in Alexandria, Va. Discussion was led by Garth Renne & Bob Anderson. The CCRO Board of Directors is very happy to announce this new initiative. Long-time in planning, recent months have brought together the right people and organizations such that we have now the ideal situation for us to come together and get started on this important initiative for all credit professionals. Join us! What’s more, we expect this evolution in situation and practices to continue going forward into the future. As a result of this progression, the CCRO has begun this new initiative to consolidate and update past CCRO materials, and to collaboratively research and author new material. To advance this group’s work products towards being widely recognized as industry standards, the CCRO will publish a definitive set of white papers, and host industry events & training based on this content. This new CCRO group is forming now by first establishing the leadership group of credit-practitioner members. In addition, we want to invite the appropriate credit solution providers as CCRO advocate members to provide expertise and resources needed to tackle research and carry-out case-example credit analyses for the paper. The wider team of credit professionals participating as editors is expected to incorporate a wide cross-section of industry and specialties. For this challenging CCRO Initiative, the IECA is joining with the CCRO to lend support and ensure success in both developing this set of papers and in establishing it as the widely accepted standard for industry. The IECA plans to create a “IECA/CCRO Member Group” of nominated IECA member individuals with expert knowledge and experience for this project. Requirements for participation in the Partner Group are still being worked-out. These individuals will all be designated as Editors in this project. With the involvement of IECA, we look forward to a quick development of a team of industry leaders from across the energy industry. "Find out what you don't know...and share what you do"
One big advantage this group has from the start, is that it will be leveraging CCRO legacy published materials. Editing and updating these materials has already begun, and we welcome any credit professionals interested in the CCRO and joining this initiative. 3 to 4 Co-chairs– Company Members of the CCRO and one IECA Partner Group nominee may be offered this role. Duties include participating in project strategy planning, supporting CCRO Executive Director in promoting the project, and generally ensuring that momentum for the project grows in industry. 3 to 4 Coordinators(aka Project Managers) – Two to four individuals that are Advocate Members of the CCRO may be offered this role. Coordinators apply their team leadership experience to ensure the project stays on-track. As possible, they bring their company’s resources to fill knowledge gaps and conduct analyses. They host group meetings and interact with participants to keep things moving forward. 3 to 4 Principal Editors–CCRO Company or Advocate members that have committed to drafting new text, approving edits suggested by other members, and making changes to the structure of the paper(s). Material time commitment. Editors – These are additional interested CCRO members, all EICA Partner Group members, and CCRO-invited outside experts. Editors are able to review on-line and suggest changes to the draft document(s) as it evolves, as well as participate in any Editor on-line discussions. All project Co-chairs and Coordinators also have Editor access rights. Reviewers – Later in the editing cycle, the paper(s) are opened in an outreach phase to outside stakeholders for peer review & comment. Sponsors– Advocate Member Companies and other CCRO-invited companies to be sponsors are eligible to gain branded exposure to the group and its events. Sponsors provide funds in support of the group’s meetings & events and receive access to the group through their involvement in planning & execution of events such as conferences and training sessions.